When your guy has everything he could possibly want, or has the ability to buy anything he wants, it makes buying a Valentine gift extremely challenging. You want it to be something he will truly appreciate and enjoy, and so you try very hard to come up with ideas for items he doesn’t already have. 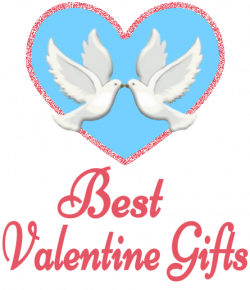 Even better still is if you can come up with a Valentine’s Day gift that he doesn’t even know exists so that he can be truly surprised and excited by what you give him. Tom Ford Tobacco Vanille Eau de Parfum – Men who take care of their appearance also like to smell nice. This cologne from Tom Ford is reminiscent of what an English Gentleman’s Club would have smelled like a hundred years ago. This is a very masculine scent that women find particularly attractive. Tateossian Dinosaur Bone Cufflinks (Limited Edition) – Crafted from authentic fossilized dinosaur bone no two cufflinks are exactly alike. Rose gold plating sets off the red and black dinosaur bone center of the cufflinks. Only 30 pairs are available, making them an extremely rare and unique item that your man will enjoy wearing. Swingbyte 2 – For the man who likes to golf in the little spare time he has between work and his family commitments, this handy golf training device attaches to the golf club. When the golfer swings it records data for analysis and sends it to his cell phone or other mobile device. The golfer can then replay the swing and see where he can improve. Monopoly Wooden Board Game Set – Even if your man doesn’t like to play board games this is an extremely attractive decorative item for a den or office. Made of two-tone burled wood veneers the board is both elegant and sturdy, and features two storage drawers. The houses and hotels are all plated and the rolling area is golf foil stamped onto faux leather. The Safari Collection Vacation – It’s not every day you get to sit down to breakfast in the rugged Kenyan wilderness and share your food with giraffes, and yet that is exactly what you can do on a Safari Collection Vacation. In addition to this unique breakfasting experience you can relax and enjoy the peace and tranquility, interrupted only by the sounds of the wildlife that call the area their home. Flying Lessons – If your man is often jet-setting off around the world he has probably wondered what it would be like to actually sit in the cockpit of an airplane and take the controls. Get him flying lessons and he can find out for himself. While it is not quite the same as flying a jumbo jet, flying a small plane will give him a taste of what it is like to be in control. White Water Rafting Experience – There are many white water rafting locations around the world, some of them verging on dangerous but if your guy is a bit of a thrill seeker he might find the exhilaration of floating down a fast-running white water river a great experience. You could share the experience with him and then have a quiet dinner for two organized for when it is over, so you can both relax and talk about how much fun it was. 24 Karat Gold-Dipped Poker Cards – This stunning set of playing cards by Eternity Rose is about as luxurious as a gift can get. For the man who likes to play poker with his guy friends this will be a fun pack to pull out and show them. The cards can actually be played with and are tournament grade. You can find them widely used in the high roller rooms of major casinos around the world, and now your man can have his very own set to enjoy. Cooking Lessons in Italy – For the man who loves to eat (and what man doesn’t!) giving him cooking lessons with an authentic Italian chef could be something he will really enjoy. There are chefs who will spend a day teaching students how to make some of the best pasta dishes, pizza and other genuine Italian dishes. You never know; your man might discover he actually enjoys the entire cooking experience and decide to spend more time in the kitchen at home. Wine of the Month Club Subscription – Receiving a selection of some of the best new wines on the market once a month will be a Valentine gift that keeps on giving. For the wine connoisseur it is a way to enjoy that latest offerings from some of the best vintners as well as learn of new vintners. Typically a Wine of the Month Club box will include both red and white so he will be able to sample some great wines with dinner during the month, and have another selection to look forward to the following month.